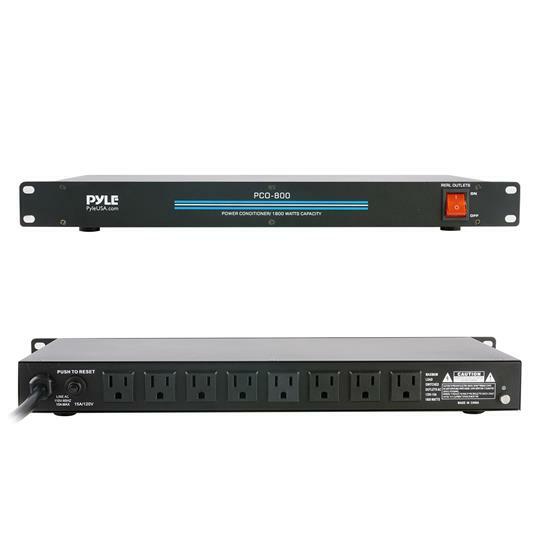 A Pyle Power Conditioner is the best way to protect your expensive equipment, and keep your wiring neat organized. This rack mount Surge Protector features eight rear outlets, with room for 4 Wall Warts. Power distribution is controlled by a front panel switch. With a 15 Amp (1800 watt) power rating, and a built in circuit breaker, you know your gear is safe and sound.